Vanlife isn’t for everyone, and thats a fact that we accept (although with some difficulty it has to be said!) 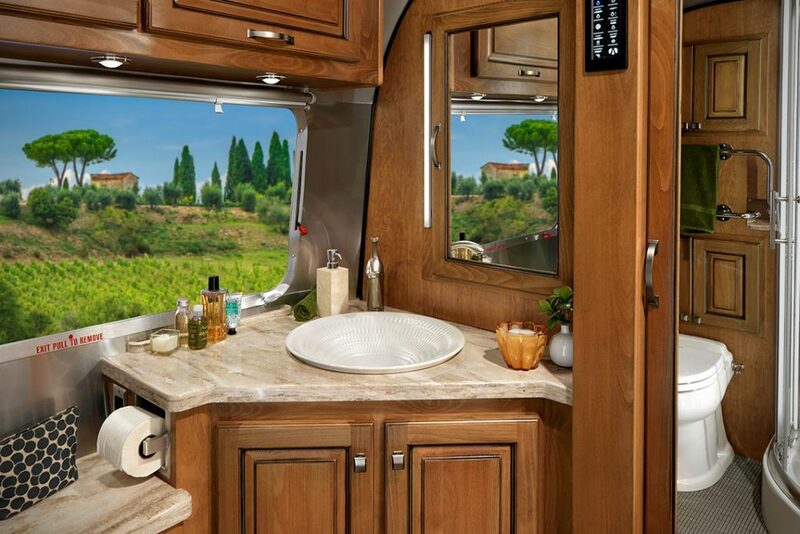 But we don’t judge here at Van Clan, so for those that like to take the kitchen sink the matching toaster, and the whole street on holiday with them, we’ve got a Classic Airstream Trailer that will blow you away. 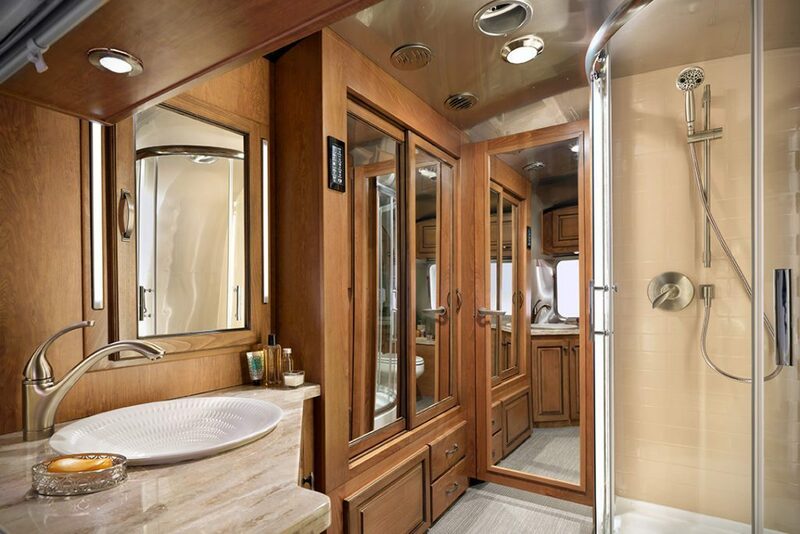 Each Classic XL includes a touch panel electronic control system, four external pre-wired solar ports, a Polk audio system complete with a 200W subwoofer, large dinette, heated shower floor, and Cognac Maple décor throughout the entire trailer. Camping done right. 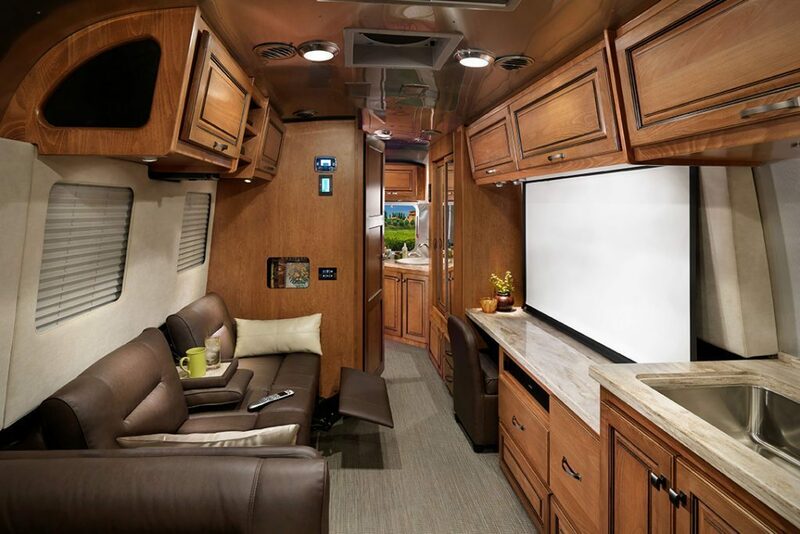 Check out this interior! 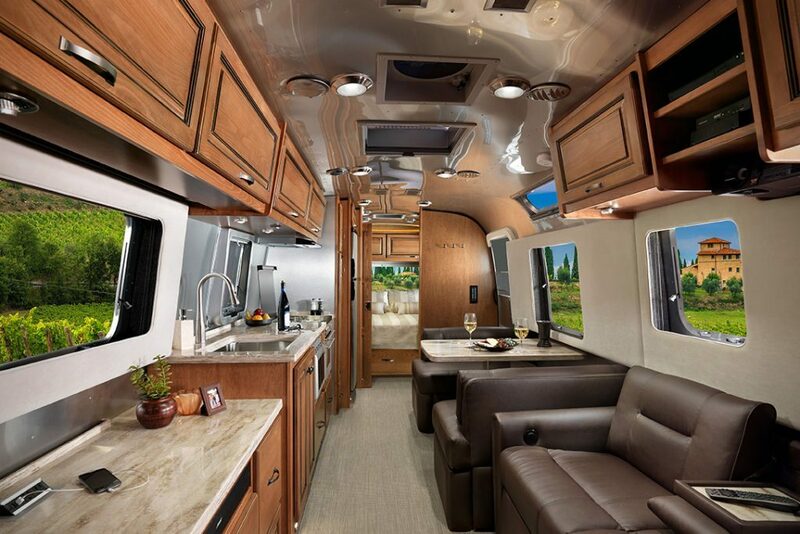 The iconic airstream roof soon morphs down into a modern kitchen and living area that looks a lot better than my old flat. Storage, leather sofas, a master bedroom with ensuite, marble worktops. We’re thinking of putting one outside of the Van Clan offices and moving into it full time! And when you’re bored of the scenery and the mountain glades, you can just pull down your projector screen and stick on a bit of Game Of Thrones (or the Sound Of Music if you’re getting a bit agoraphobic but still love those fields). 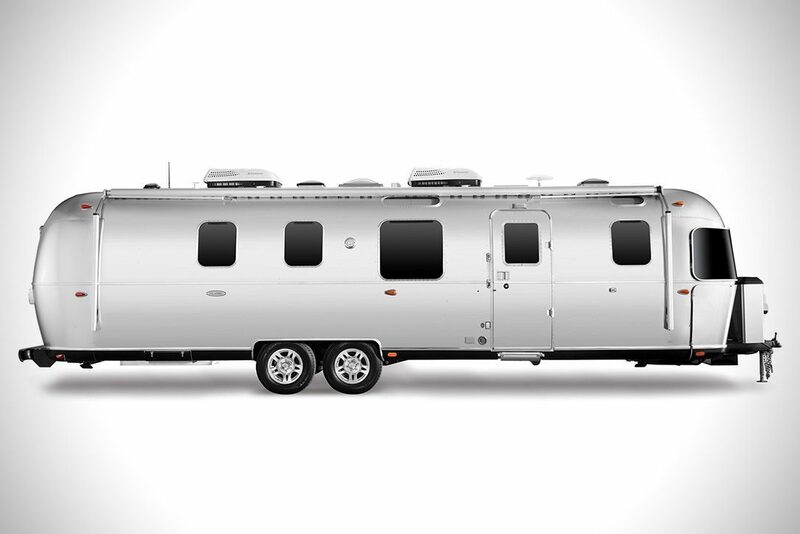 You certainly can’t put a price on that incredible Airstream Trailer look, that sleek, dynamic and funky fresh body work and that sense of 70’s camping that makes you want to turn Led Zeppelin up to 11. 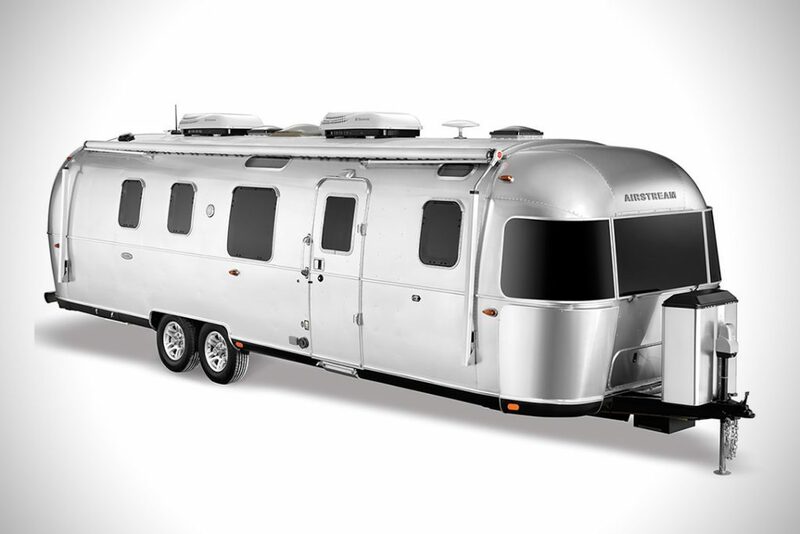 But the truth is, you have to put a price to this Airstream Trailer if you want to actually buy it, and that price is $135,600. This isn’t the kind of thing that you buy with the loose change in your pocket, it’s a serious investment and one that matches the level of luxury that it provides. Like it or loathe it? Join the Van Clan on Facebook, Twitter and Instagram for more Luxury Trailers and Crazy Conversions.